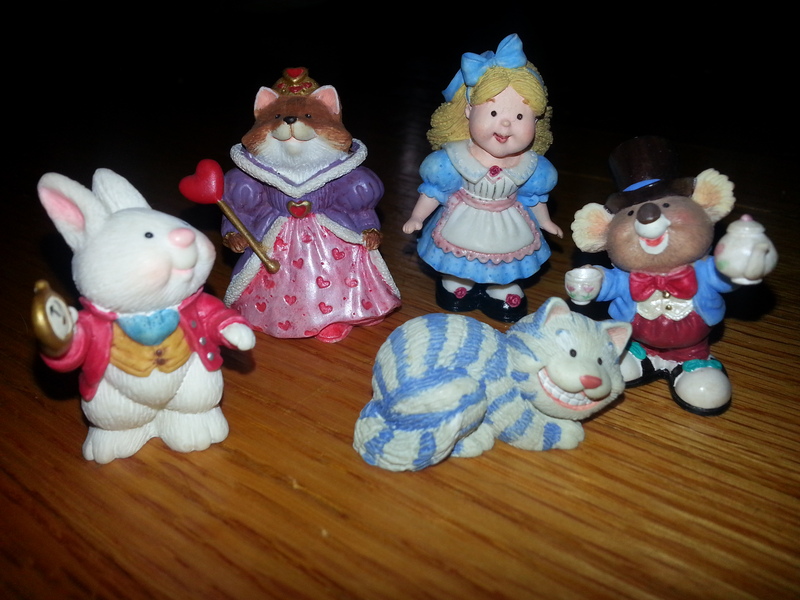 This is a five piece set of miniature Alice in Wonderland figurines. Alice, the Red Queen, the Mad Hatter, Cheshire cat, and the White rabbit. It did not come in it’s box. I found this set at a garage sale in Northville, NY this year for 75 cents. The set is only worth about $5 but it’s definitely one of my favorite recent additions. Very cute!